If I was going to do a countdown of the top three things the internet has brought mankind, it would probably go something like this: 3) The ability to communicate across geographical and political divides, wherever, whenever. 2) Cat videos. 1) @NotTildaSwinton. 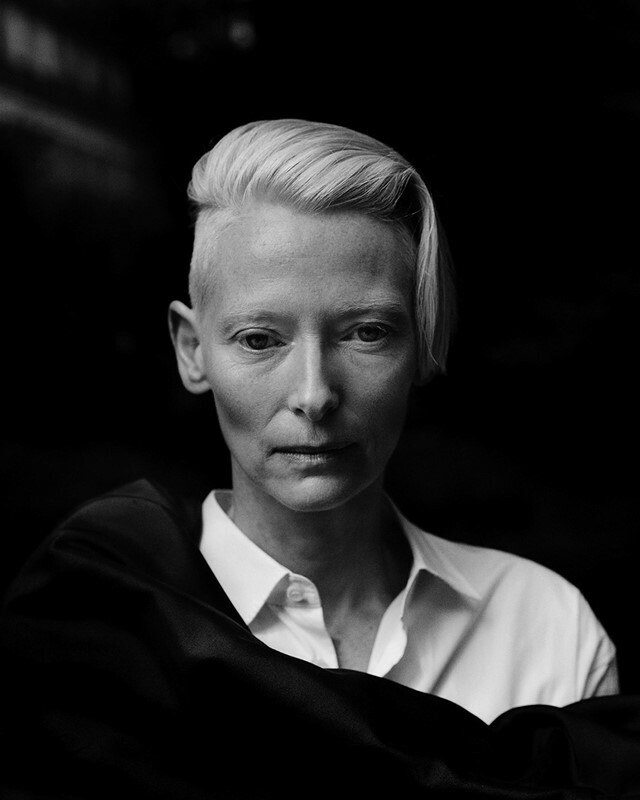 First appearing on the internet in 2012, @NotTildaSwinton immediately enchanted Twitter users with such witchy, poetic strangenesses as: “Once, I calmed a lion, and he ingested me slowly and safely. I spent two months in his belly, sharing his food. I emerged with a soft mane.” Within five days, she had 30,000 followers, or Tildren, as she calls them. Since 2015, though, NotTilda has been enveloped in an enigmatic silence, appearing only once in 2017, to utter, simply, “Yes”. “My birthday is your birthday”, she shared on November 5th, before instructing followers to remove their own sternums. Remove your own sternum. You don’t need it!!!!!! Be brave. Why had she returned to walk among us once more? I turned to the only two men who could provide answers: NotTilda’s elected human mouthpieces, Eli Yudin and Carey O’Donnell. I had more luck with his co-conspirator O’Donnell, who, when his body is not being used as a host for NotTilda, is a writer on Heathers, the TV series based on the cult film. “I like to think she’s been molting beneath a lakebed somewhere. She needed to recharge. And the way everything has been in the last three years, some time away from the surface world was necessary,” he explained. “Her new legs and lungs grew in and she wanted to take them for a spin on land. Once she was up above, she remembered it was her birthday (one of her birthdays), and thought, ‘Well now I have some things to say,’ and that was that.” The time, in other words, was now. Now, the only question that remains is whether NotTilda will be sticking around. We can but hope. “My life is more exciting when she is possessing my meager soul,” he admits. Revisit some of our favourite @NotTildaSwinton tweets below, and follow her earthy musings here. I have no stomach. My esophagus feeds into the mouth of an eel living inside my torso, who provides the electricity that powers my heart. I found a fish out of water. The lifepaths of others are not mine to bend, but I laid with her in her puddle so she would not expire alone. My heart beats but once a day. Sometimes, I forget I have one at all. Come mid-afternoon, it throbs, and I discover that I have not died. I have named every one of my hairs, and tie strands together so they may converse. At night, the din of their chatter is almost unbearable. A mission for you. Go outside, hold an animal to your breast. That is real warmth, not the glow of your screen. I typed this on a rabbit. I lay in a claw-footed bath filled with elderberries gathered by my bat, Theremiah. They stain my skin... I will be camouflaged this night.